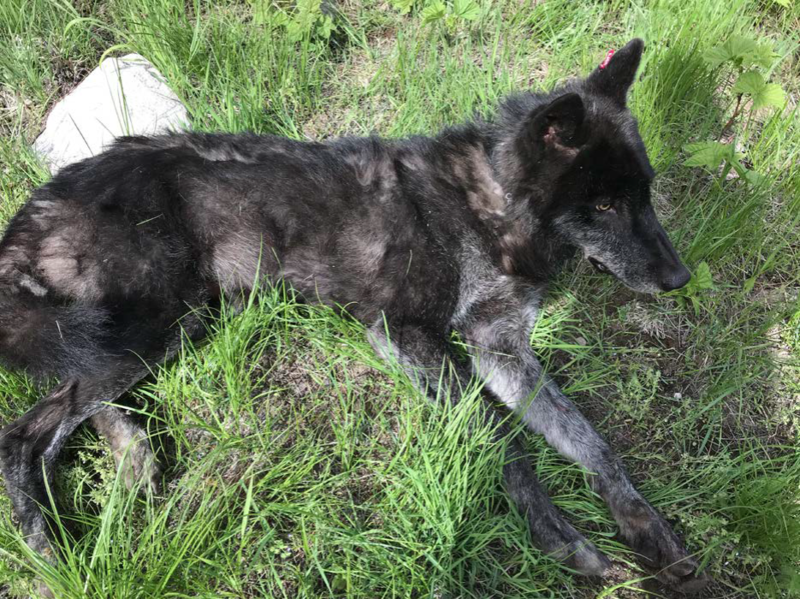 This Togo pack wolf, an adult male shown when he was radio-collared in early June, is now marked for death by WDFW. Copyright 2018 Northwest News Network. So, we humans crowd the range with cattle, sheep, pushing out the native animals. Then, we blame, slaughter them. This tragedy has been going on since the 1900’s–nothing will change, until this Destructive Livestock Industry is booted off public lands, like this National Forest. Too many so-called “wildlife” groups” are now in cahoots with the Enemy, making “deals” with the Enemy, and even approving of such slaughter. No wonder things are so bad for the wildlife. I once was a dedicated volunteer with Wild Earth Guardians, but became very disgusted as the leaders collaborated, hired, and other wise compromised with hunters, ranchers. Now, such groups have made it part of their very policy—some even have hunters, ranchers on their staff, boards. This is not in any way, “protecting wild animals.” It just keeps these now-corporate groups bringing in donations, and maintaining nice cushy offices for these traitors to work in. They got him today by helicopter. So sad and stupid. Poor wolf. I hope this will be the last we hear from those whinging, complaining ba****ds, but somehow I doubt it. I also blame gluttony and meat eating, because the rationale that they don’t get beef from these particular suppliers means nothing – all beef purchased makes the lobby more powerful. We have given them this power. Oh I beg to differ – without lawsuits and polarization, we’d be back to the 1800s for wolves. And grizzlies. “Mediators” are nothing more than sell-outs to the Livestock Industry–nothing really has changed, as so-called “wildlife groups” continue to compromise wolf lives (and other wild lives) away. This kind of behavior has done ABSOLUTELY NOTHING to help the struggling, remaining Mexican Wolf population in NM and Ariz.–except embolden the enemies of wild carnivores. The fact that some of these cowardly wildlife groups are now applauding zoos as wonderful & “necessary breeding facilities” is shameful, and may actually be aiding the demise of this species. Why was the Yellowstone Wolf Re-Introduction program so successful? Here’s why: They were WILD Wolves, not zoo bred, and they were released on National Park Land, which has NO HUNTING AND NO GRAZING.